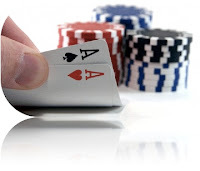 We haven't proved to be that good at poker in the January transfer window in previous years. As a Charlton fan I move quickly between pessimism and optimism but during this month I lean more towards the former. Once bitten twice shy. Norwich, Leeds and Huddersfield fans are all sat with us around this imaginery poker table. Leeds fans after more than a couple of damaging years are probably at least safe in the knowledge that if they lose one hand, they can at least afford another one. Rumours are that the Yorkshiremen may even raid one of their promotion rivals for a midfielder, fortunately not shades of Robert Lee but Norwich talisman Wes Hoolihan. 20-goal Jermaine Beckford will almost certainly be plying his trade elsewhere later this month with Newcastle and Wolves favourites to sign the ex-Wealdstone player. Interestingly this Yorkshire Post article says that Charlton were also sniffing around the then 22-year old back in 2006. Despite much bravado Norwich fans have the most cause to be nervous in this window. The Canaries are £23m in debt and chairman Alan Bowkett said that selling off their ground was one option as the board tries to tackle their mounting financial problems. Axa would be the most likely buyer and the French insurance giant are owed £11.5m with Carrow Road, Norwich's home for 75 years, valued at what I would consider a rather hefty £34.5m. The basket case that is Crystal Palace are the poster child for what could happen if an uninterested 3rd party own's your football ground and with Palace pawning their best players around the leagues, I will be interested to see if Norwich's board resist offers for Hoolihan, Grant Holt or Darel Russell as the deadline gets nearer. Meanwhile with a surge in the manager merry-go-round Simon Grayson, Paul Lambert, Lee Clark, Ady Boothroyd and even our own Phil Parkinson are all getting admiring glances from clubs higher up the leagues. Reading, who have yet to appoint a permanent manager, think very highly of Parky who played almost 400 games for the Royals. Talking of Reading the BBC yesterday announced that we had secured the currently injured David Mooney on loan until the end of the season in a story that said that Chris Dickson will stay until his contract expires in the summer (Dave is not so sure) and Izale Mcleod has moved to Peterborough to replace the potential Leeds-bound Aaron McLean. Watch Izale take his shirt when he no doubt scores on his debut! Akpo Sodje's current loan deal ends this week and Parky must now discuss his future with new Wednesday boss Alan Irvine, who has stated he wants a clear-out at Hillsborough and is looking to bring in Luke Varney on loan from Derby.